Might be, Malkangiri Collector Sri R. Vineel Krishna, IAS and the Junior Engineer of Kudu-mulu-gumma Block Sri Pabitra Majhi have been abducted by suspected Maoists. 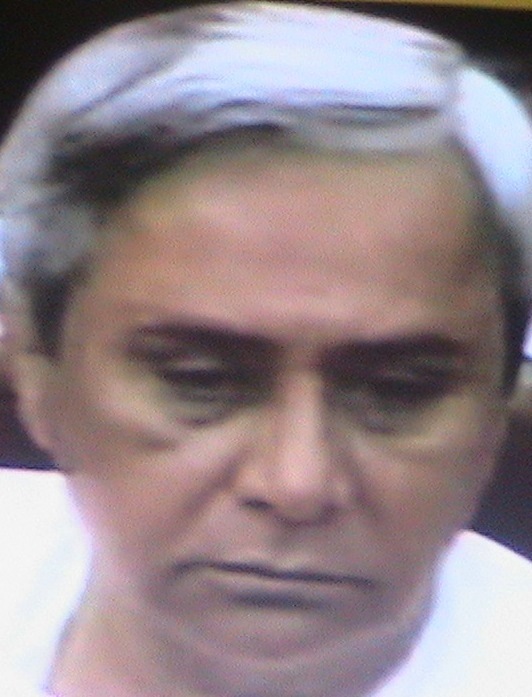 But Chief Minister Naveen Patnaik’s credibility has fallen so low that people fear, this is a drama deliberately being enacted to divert public attention from the pulse scandal, which, besides being a multi-crore rupees scam, has endangered more than a crore of school going children and pregnant women of Orissa because of the slow-poisoning effect of the fungus infested and khesari adulterated Harad dali fed to them under the Midday Meal and Supplementary Nutrition Programs. The news of this abduction, in fact, has shifted Opposition’s emphasis from the pulse havoc to safety of officials in the field. The situation is so grave that the Assembly proceedings obstructed over the issue beyond management, speaker had to adjourn the House even though the Opposition stance had made the the CM read out a statement making “a sincere appeal for the release of the Collector and the Junior Engineer”. 1, All tribal Maoists should be released immediately within 48 hours and 2, no combing operations should be conducted either by Orissa Police or Andhra Pradesh Police. We are constantly monitoring the matter”. But in this statement to the Assembly the CM seems to have erred. As transpired later, the suspected Maoists have not demanded that “tribal maoists” be released, but have demanded that “innocent tribals taken to custody as Maoists” be immediately released. 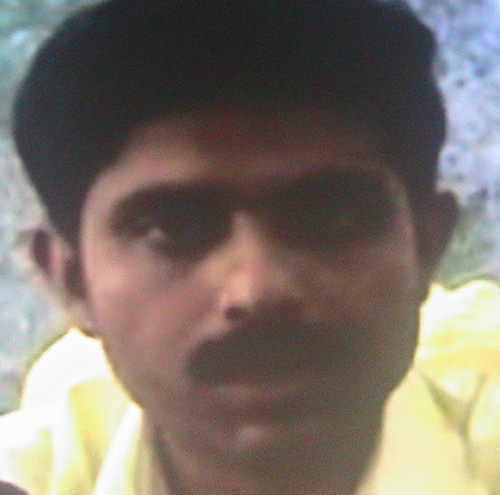 There is a vast difference between “tribal Maoists” and “innocent tribals taken to custody as Maoists”. 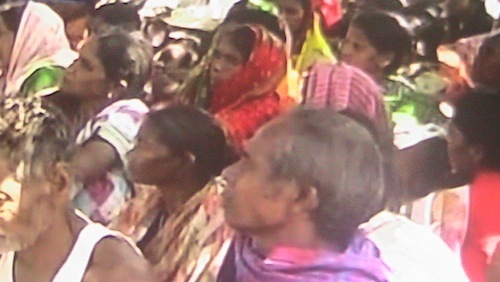 In the name of controlling Maoist uprising, a systematic attempt is in full speed to subject the highland tribals to horrifying State terror by arresting, torturing and killing by way of encounter, presumably to frighten them so much that they cannot dare to oppose their displacement as and when the soil they live in would be needed for mining or industry. The conspiracy is so vast that in different districts people are protesting against false branding of apolitical innocent persons as Maoists and fake encounters and arrests perpetrated against them by the police. 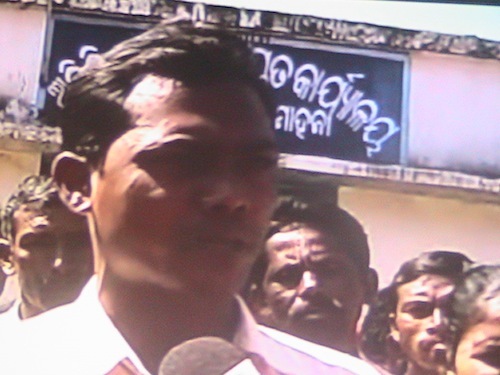 Protest of the inhabitants of Katama in the district of Gajapati is an instance. In this context, kidnapping of the Malkangiri Collector may be not by Maoists for release of “tribal Maoists”; but may be by tribals or any other sympathetic to them for release of ‘tribals under custody as Maoists’. The State government has reacted to the abductors’ demand by issuing an order to “stop combing operations till further orders” and by openly requesting Swamy Agnivesh to mediate in the matter. “If requested in writing by the CM, i will mediate, as otherwise it shall carry no meaning”, Agnivesh has told the Press. If anything, the Malkangiri episode is an instance of anarchy that has engulfed Orissa in the present phase of misrule.